Absolutely nothing–no amount of regulation, no number of belligerent articles, no plethora of hectoring denunciations by big shots–is going to stop ICOs from completely disrupting the way companies raise funding in the future. The crypto market has been too wonderfully successful without the slightest help from government or the financial establishment. We already know. We’ve seen. The idea is out there. It’s already worked. The deed is done. Some tokens represent brilliant ideas, but many are pump-and-dumps, troll coins, or outright scams. But now the counter-revolution is underway, with governments leaning in, establishment spokesmen trying to spook markets, and incumbent financial institutions decrying all disruption to their industry. It’s a coordinated attack. So it’s about time that people know precisely what an ICO is. It stands for Initial Coin Offering, a token used to express investment interest in ideas that are turned to enterprises. The number of ICOs this year far outstrips Initial Public Offerings of public companies (those seem to be on their way toward extinction) and beats the market capitalization of convention venture capital funding. But before we get to the full explanation, consider this brilliant, evocative, and ridiculously misleading description from Kevin Roose from the New York Times. Imagine that a friend is building a casino and asks you to invest. In exchange, you get chips that can be used at the casino’s tables once it’s finished. Now imagine that the value of the chips isn’t fixed, and will instead fluctuate depending on the popularity of the casino, the number of other gamblers and the regulatory environment for casinos. Oh, and instead of a friend, imagine it’s a stranger on the internet who might be using a fake name, who might not actually know how to build a casino, and whom you probably can’t sue for fraud if he steals your money and uses it to buy a Porsche instead. That’s an I.C.O. From reading that paragraph, you could suspect that an ICO is a small-time scam that ropes in highly vulnerable population groups (think: the lottery). But if you received Goldman-Sachs’ newsletter from August this year, you would have discovered something slightly different. It turns out that in June of this year, ICOs raised $450 million, which surpasses the amount raised by early-stage venture capital funding. The same thing happened again in July. The total raised this year from ICOs is an astonishing $1.5 billion. ICOs are poised to not only exceed conventional funding sources, consistently over time, but even completely displace them. This is what innovations do. They replace what came before, whether pundits like it or not. Why is this strategy for raising money for new ventures working so well? There is the most obvious consideration of low barriers to entry. Anyone can float them and anyone can buy them–from and to anyone in the world regardless of geography. There is a larger pool of investors that can bypass the impossibly costly and complex national regulatory machines that have gummed up capital-raising methods in conventional finance. It has been a long time since the financial markets have been free. That the market is mostly deregulated and decentralized, and thereby more active and effective, is itself interesting. No sector is more replete with the myths of “consumer protection” than this one. It seems hard to believe, but the whole basis of the SEC’s house of horrors is that it is all necessary to protect people from rapacious capitalists. For all I know, the regulators actually believe it. But the big players know otherwise. The purpose of the national machinery is to protect big shots against upstart competitors. From the point of view of establishment finance, only certain people should be allowed in, with others kept out, which is precisely why there are ever fewer companies that are in the privileged position of going to the public markets at all for funding. Nothing provides as much connection between entrepreneurs and funding as a real free market. But it has been a long time since the financial markets have been free. ICOs represent an attempt to fix the problem. And the solution is absolutely ingenious. It relies on decentralized markets that live on the Internet, combined with the invention of new tokens that have all the qualities of traditional money, depending entirely on supply and demand for their value, and also serve as asset titles to the protocol of the company itself. These tokens permit companies to crowdfund early operations in the same way that GoFundme, Kickstarter or Indiegogo do, but without the high cost of those platforms and the risk that your funds will be frozen by regulatory intervention. All wonderful new things seem implausible and vaguely dangerous at first. 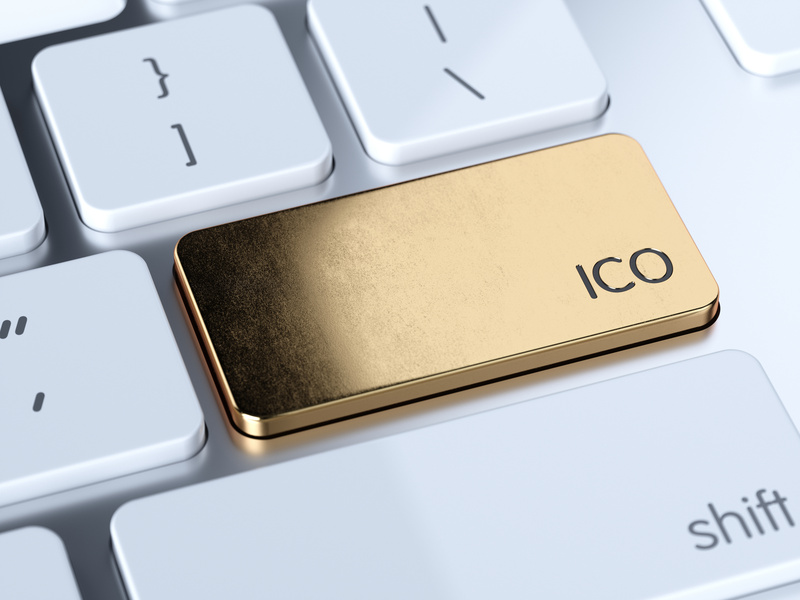 ICOs use blockchain technology, which is a ledger system of documenting ownership claims in the cloud, creating immutable records that are not kept by a centralized source but are rather shared among all interested parties. This creates the kind of trust that is necessary for commerce but does not require the kind of trust traditional financial intermediaries insist upon for doing any business at all. Changes in ownership rights are confirmed coming and going, and are made possible by digital units that are called tokens. But these tokens behave both like money and asset shares in the company, or, more precisely, as an expression of ownership interest, analogous to a digital stock certificate that floats in value. Even so, they don’t entirely conform to the way any existing financial asset works today. They really do amount to something new because, well, all of this is a new invention. I get why people are a bit alarmed about it all, same as they were by internal combustion, electricity, flight, and, in its day, fire too. All wonderful new things seem implausible and vaguely dangerous at first. As new as the tech is, however, the need it meets–to more reliably establish and document ownership claims–dates to the earliest days of the human experience itself. I said that the poker chips analogy is ridiculous. Actually, it is not entirely. Let’s just say that you really could do that, pre-sell chips to your casino and establish a way in which the value of those chips floated against existing currencies. Let me just ask straight out: what would be wrong with that? It’s not allowed now, of course, so probably it sounds crazy. But actually, in a free market, this would be permitted. No regulatory structures are more prone to capture by special interests than those governing financial markets. What about some dude that runs off with the money and never builds the casino? Well, you are welcome to try to get your money back if you can. But mostly, you should probably learn a lesson: don’t throw good money after bad. It’s the same with the crypto markets. Some tokens represent brilliant ideas, but many are pump-and-dumps, troll coins, or outright scams. There is a bit of a paradox here. Scammers are entrepreneurs too, and they are like heat-seeking missiles for the latest and greatest profitable ideas. That’s why they are hanging around the crypto space. And guess what? 100% of everyone involved in these markets knows this. Some people lose their shirts. Better luck next time. Others have become much richer, betting on brilliant platforms that are using blockchain technology to bring new standards of clarity, truth, and efficiency to all the ways we do business. Should government be involved in regulating them to protect the consumer? If there were the slightest chance that government could do this, it might be tempting to say yes. But no regulatory structures are more prone to capture by special interests than those governing financial markets. Every bit of intervention will be used on behalf of big shots to drive out regular consumers and smaller competitors. For this reason, government should stay completely away (and I say that knowing that my proclamation will do nothing to stop government from meddling in any case). If any market has proven itself capable of self-regulation, it is this one. There are many projects underway right now that are bringing due diligence to this sector. If any market has proven itself capable of self-regulation, it is this one. It emerged spontaneously with the first release of the Bitcoin blockchain in 2009 and has developed gradually in exactly the way markets are supposed to. So too will the capacity of the sector to police itself will grow as knowledge and sophistication grow. It’s been an inspiration to watch this sector develop from the White Paper of November 2008 all the way to the latest peer-to-peer portfolio management systems using smart contracting. It’s all happened in nine years, after a time when credibility of conventional regulators, banks, and large financial institutions was shattered during paradigm-shifting crises. No one knows for sure where it is all headed but this much we do know: there is no going back.